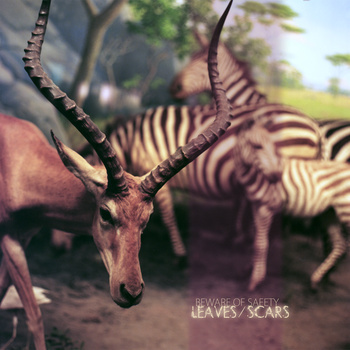 Walking a thin line between post-metal and post-rock, Los Angeles-based instrumental project Beware of Safety comes crashing into the scene with their sophomore full-length,Leaves / Scars. Having recently uncovered the fairly recent band, I enjoyed discovering their heavy, progressive style established in their releases, sounding something like a crude mash of God is an Astronaut and North. The thing that really defines Beware of Safety is their lack of trepidation to make some noise and to show off their raw power, but at the same time, add their superb musicality and throw on a healthy dose of contrast, mixing blasts with mellow acoustic bridges. The first tune off the album, “Meridian”, is a fantastic example of the potential of the band. Starting off with a heavily reverbed, fairly long bass jam, the drums and some soft, melodic minor chords from clean guitars begin to create a more sombre tone, with the rhythm pounding a well-supported, heartfelt beat. As things begin to pick up, a distorted guitar riffs, lending strength as everything starts to feel less anemic and more concentrated. About three minutes in, a smooth transition from a very minor-keyed bridge flows into some syncopated and very fuzzy riffage. Drums hitting harder, guitars strumming more powerfully, everything comes to a smooth fadeout as everything drops out and the clean guitars pick up, until a wall of sound comes wailing in and a melancholic, distorted post-rock-esque catharsis hits listeners hard as the song’s ending rushes up and everything comes to an immediate standstill. The fifth song on the album, “Moorpark Ends”, shows a softer side of the band, with a simple acoustic melody, with very smooth, tender synths adding a soft layer of depressive moans and wails in the background. The song takes on after This Will Destroy You, with soft clean guitars adding here and there, with most of the rhythm in the acoustic guitar, melodic changes lying in the acoustic and the synths. As things progress a bit, the synths grow louder and the guitars become more distorted as a fade-in to a more vigorous and forcible verse, adding in drums, with ethereal distorted guitars strumming away, in a very Explosions in the Sky-like fashion. The song keeps its crestfallen demeanor, as the bass hits some deep, earnest chord changes, tugging at the heartstrings of the listener. The song ends just as it began, with all of the noise and chaos clearing away into a simple introspective melody, fading gently away. This album was a really cool listen, in discovering a post-rock / post-metal band that isn’t afraid to delve into either and both categories in the same song. Beware of Safety doesn’t really push themselves towards any genre – they create what sounds good to them, and it ultimately sounds good to everyone else too. Leaves / Scars took off in a way different direction than I thought it would at the beginning of it, but that’s not a bad thing in any way. With a lot of warmth and gentleness in some parts, and animosity and power in other parts, Leaves / Scars may stand out as a much more memorable album this year than something like Take Care, Take Care, Take Care, simply because it’s so much more diversified and easy to connect to. 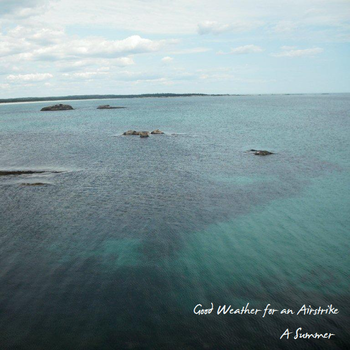 This entry was posted on July 12, 2011, 10:20 pm and is filed under Playlists. You can follow any responses to this entry through RSS 2.0. You can leave a response, or trackback from your own site.